Join us in creating a culture of discipleship in your home, parish, and diocese. Join us in creating a generation of saints. What do you mean by "Disciple"? “Jesus said to Simon, ‘Do not be afraid; henceforth you will be catching men.’ And when they had brought their boats to land, they left everything and followed him” (Luke 5:10-11). 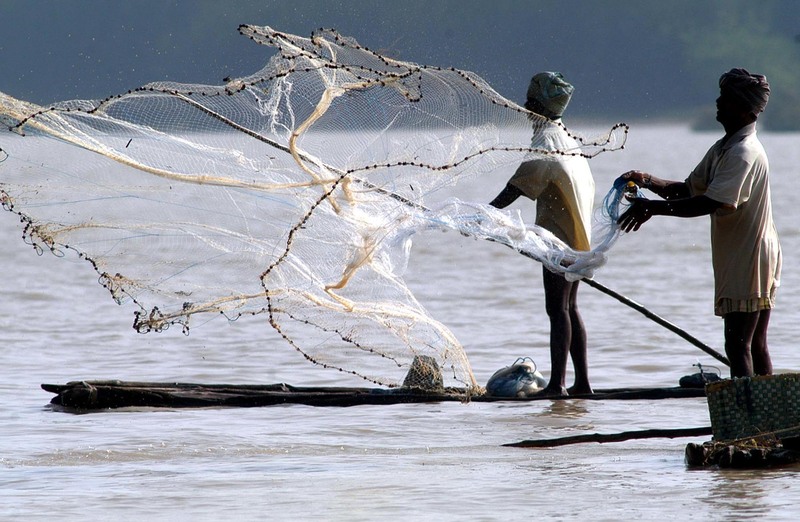 From the moment he dropped his nets to follow Jesus, he was a disciple." Forming Intentional Disciples, 64. What "being a disciple" means and what it looks like can be confusing. For us at Burning Hearts, discipleship is an active response to a relationship with Christ. Discipleship is active. It happens on purpose. Author of the book Forming Intentional Disciples, Sherry Weddell, said, "You don't do [discipleship] accidentally; you don't do it in your sleep." Maybe you're already a disciple. If so, part of our mission is to help you discover how to be more intentional about your discipleship. Maybe you're not yet a disciple. If so, part of our mission to help you enter into a deeper understanding of what it means to be a disciple and become more hungry to respond to Jesus' call. Isn't Discipleship only for the super holy? Not at all, though this is a common misconception. Most Christians acknowledge the weaknesses of their faith and inconsistencies of their lifestyles and therefore wrongly assume that they are only "normal" Christians who will never attain the level of a disciple. "We must be convinced that all the baptized - unless they die early or are incapable of making such a decision - will eventually be called to make a personal choice to live as a disciple of Jesus Christ in the midst of his Church." The reality is that every single one of us has been called to discipleship. It's not just for the super holy, it's not just for the saints. "Through our Baptism, we become witnesses to the Gospel and disciples of Christ." How do I become a disciple? Develop, through formation, a personal relationship with Christ, then invite others into a relationship with him. Disciples discover their greatest, God-given purpose as husband and father, a wife and mother, and as a teacher or preacher, evangelist, missions worker, or administrator. They discern the gifts that God has given them, and they give those gifts back to Him in service to the Church and to each other. If this sounds like a life worth living, like something you'd be interested in, let us help. What are the Burning Hearts Disciples? We at Burning Hearts want to help you become a passionate disciple of Jesus Christ who has the tools and inspiration you need to pursue a deeper, consistent and more meaningful relationship with God. We want to help give those who are called training, support, and avenues to live out Jesus' call to "go and make disciples." Below just a few of the opportunities available. Click on a title for more information. These disciples are committed to using their gifts of intercessory prayer, prophecy, and wisdom in ongoing prayer for the work and needs of the apostolate as well as the individuals we serve. The key to the 1 to 1 mentoring and learning model, these Disciples are trained and provided with the necessary tools and resources to help develop Faith Growth Plans and support and follow up with Individual and Family learners. Read more. Great for those with gifts of administration and service, the office disciples help with clerical work, inventory management, and light bookkeeping. Our events team will help with scheduled events. Including but not limited to, seminars, conferences, and speaking engagements. Perfect with those who have gifts of administration, service, and hospitality, the events disciples help with set up, take down, and selling of resources. If you would like to support Burning Hearts by becoming a Burning Hearts Disciple, we'd love to help you prayerfully discern your gifts and where God may be calling you. Contact us today!